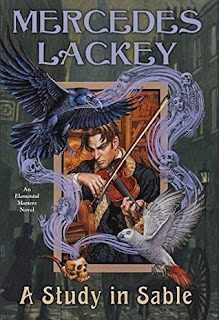 A Study in Sable is the eleventh installment in the Elemental Magic series by Mercedes Lackey. In this volume. Sherlock Holmes as well as John and Mary Watson are introduced to the world set in the late Victorian era. Unsurprisingly Holmes is unwilling to believe in magic or get involved in such matters, it’s the Watsons who are masters of Air and Water. Other characters who make appearances are Sarah Lyon-White and Nan Killian whose last adventures were in Home from the Sea and they are not only possessed of magical gifts, but are also psychic. Accompanying them are their avian companions, the raven Neville and the parrot Grey. As agents of Lord Alderscroft, the Elemental Fire Master, also known as the Wizard of London they are given various missions and now have been charged to work with the gentleman at 221 Baker Street, but not Holmes, but instead John Watson and his wife Mary. In the course of confronting occult matters, Nan and Sarah must find and destroy the creature that almost killed them when they were children, the Haunt of Number 10 Berkeley Square, but it’s the next task that causes them to disagree. Sarah becomes involved with a job from a german opera star, but in the course of her investigation, matters take a darker turn, and Nan, John, and Mary must find a way to intervene before things end tragically. As the stories in this series are often somehow inspired by fairy tales, it should be noted that in this case, it’s a folk tale or ballad called the “The Cruel Sisters” or “Binoorie” found in both Scandinavian and English folk culture that is the origin of this book. 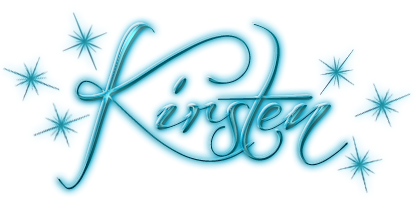 The story is a combination of investigation and magic which makes for a plot that is easy to follow and the addition of various well-known literary figures lends this story a little bit something extra and will likely please long-time readers of the series or fans of Sherlock Holmes and related characters.